Help is required in the kitchen (breakfast and supper), lunchtime pony line supervision, early evening supervision and night watch. If your child is attending camp please ensure that you have put your name forward to help. Please let Bethan know which duty and when you are available. We will also be asking for help to repair the jumps on the Bryns before Camp. Iona will be sending the order off tomrrow for the Anniversary t-shirts and hoodies with Camp names on the back if requested. We are offering both t-shirts and hoodies to commemorate the 70th Anniversary of the Flint & Denbigh Hunt Branch of the Pony Club. The front will be printed with the Pony Club logo and 70th anniversary 1947 – 2017. If you want to order one with camp names on the back, that will be extra. These are available to members not attending camp as well as those attending camp. Please let Iona know ASAP if you are interested in ordering one (secretary@fndponyclub.org.uk). For those of you who enjoy dressage, we are looking for members to compete in the Area Dressage on Sunday 23rd July, at Foxes Riding School, Wirral. At the moment there are 3 members signed up: it would be excellent to have a team for Flint & Denbigh. Please look at the schedule attached, complete the form and enclose a cheque made to The Flint & Denbigh Hunt Branch of the Pony Club by 4th July. Please send the form to Jane Grindal, Ty Mawr Farm, St Asaph Road, Bodelwyddan, Denbighshire LL18 5UY. Please ring Jane on 07890107492 if you have any questions. 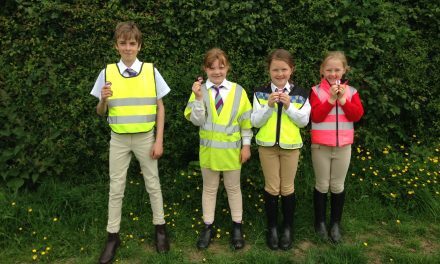 Well done to all that competed at the Area Show Jumping on Saturday. Thank you for representing your Branch so well. The Class 1 team (pictured) did a superb job and came first, qualifying for the Regionals. They were Scarlett Owen, Faye Jones, Twm Cernyw and Eben Davies, with Twm winning overall. Georgia Vaarkamp and Archie Lynch qualified as individuals, so Flint & Denbigh will be well represented at the Regionals. The Class 2 team of Emily Vaarkamp, Orlagh Toner, Sophie Cocking and Leah Jones all had good first rounds but things didn’t go their way in the second so unfortunately didn’t qualify this year. In Class 3 Sali Wyn-Wheway and Lily Ann Pardoe both qualified for the PC Champs as individuals by coming 3rd and 4th. Unfortunately the other team members Jac Cernyw and Millie Dalton didn’t qualify this time. 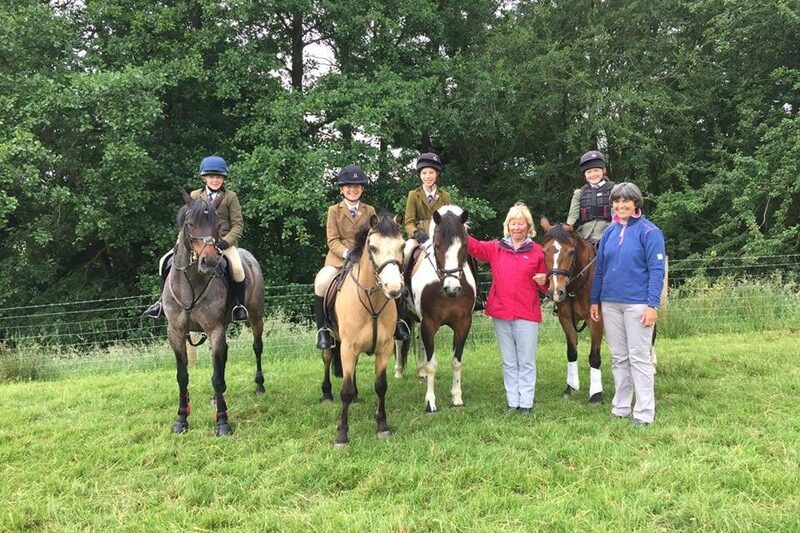 After 3 years of dominating the Open Area competition we didn’t even have a Branch Team this year, but Sophie Toogood and Heidi O’Brien took part in the winning mixed team and also qualified as individuals with a 1st and 2nd. Well done once again to all that took part and to the parents who get you there!! Thank you also to Aloma and Bethan for your help, it seems I need to get Facebook Savvy! !